Kyle Echarri plays one of Kuya Allan's children, April Matienzo plays Dex's kababata, Ketchup Eusebio plays the Bonifacio's cousin and Donita Rose plays Kuya Allan's wife! I'm so, so bad with character names I can't recall theirs, I'm so sorry. Cristine Reyes plays Cha Bonifacio, the Unica Hija. For some reason, gandang ganda ako sa kanya ngayon! She's glowing, seriously! 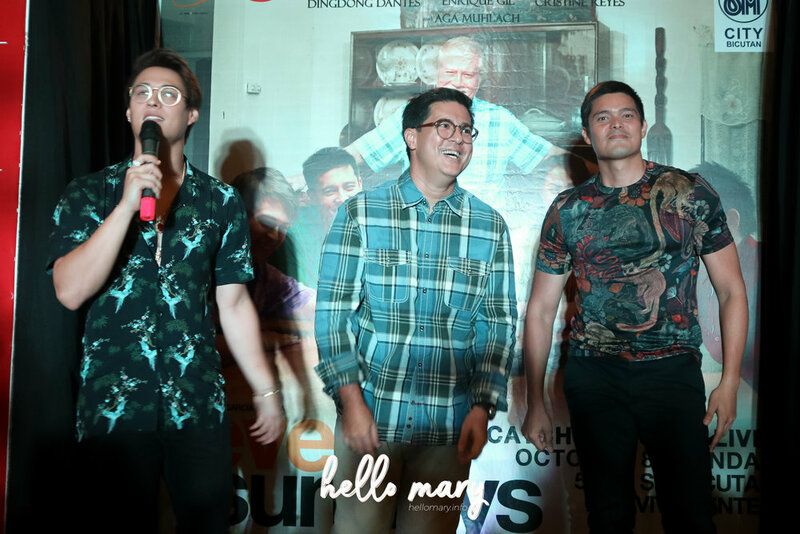 In the middle of Quen's song, Aga Muhlach and Dingdong Dantes suddenly came out and danced along! 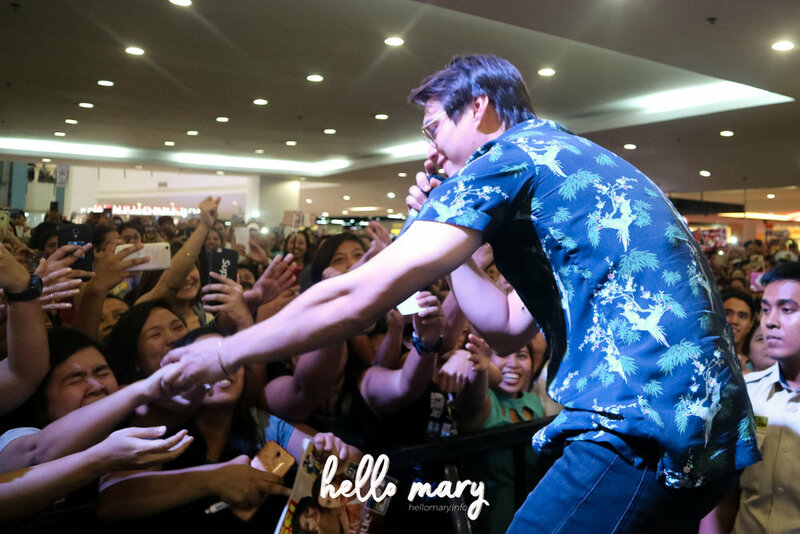 We certainly did not expect that and the mall show became one big Bonifacio family party! 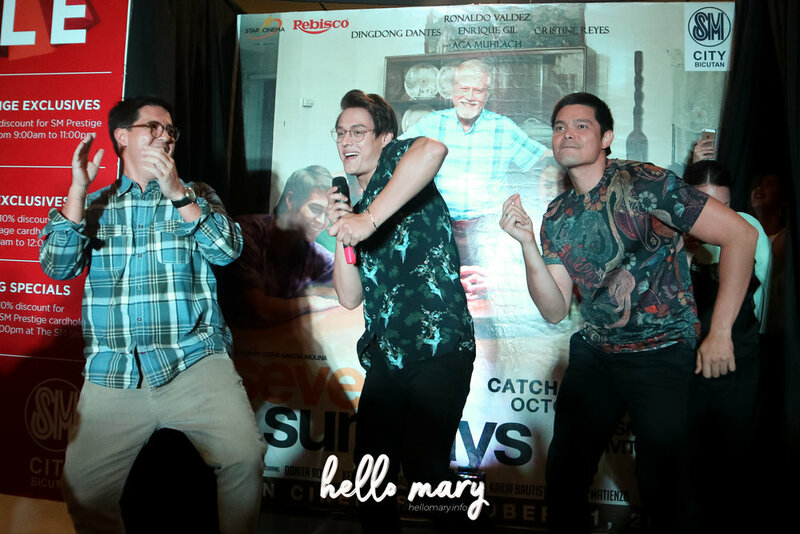 It was so surreal seeing these three generations of heartthrobs dancing altogether! That last photo tho. 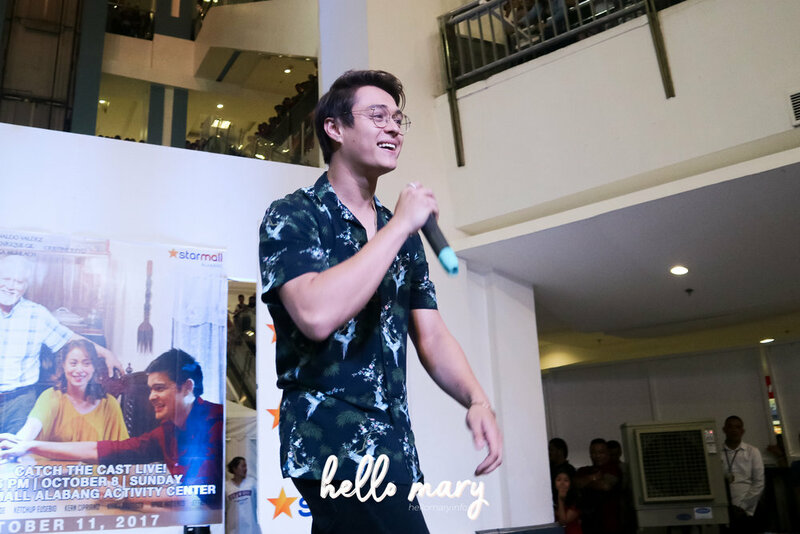 He was shimmy-ing his way back to the stage once he saw his big screen brothers! Haha, so cute! Dingdong Dantes! 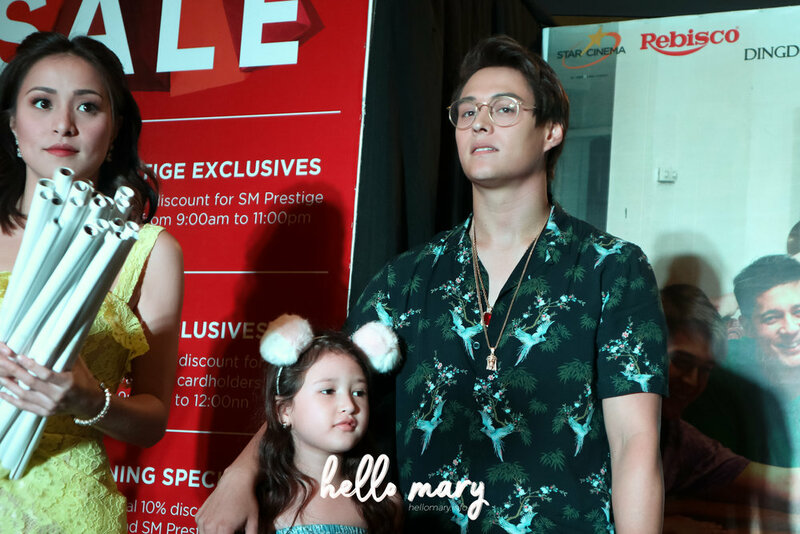 That lip-bite huhuhu. And here is a team photo that's kind of annoying because my point was to have Dingdong Dantes in it (we only get to work with him once every few years) BUT NATAKPAN SIYA. 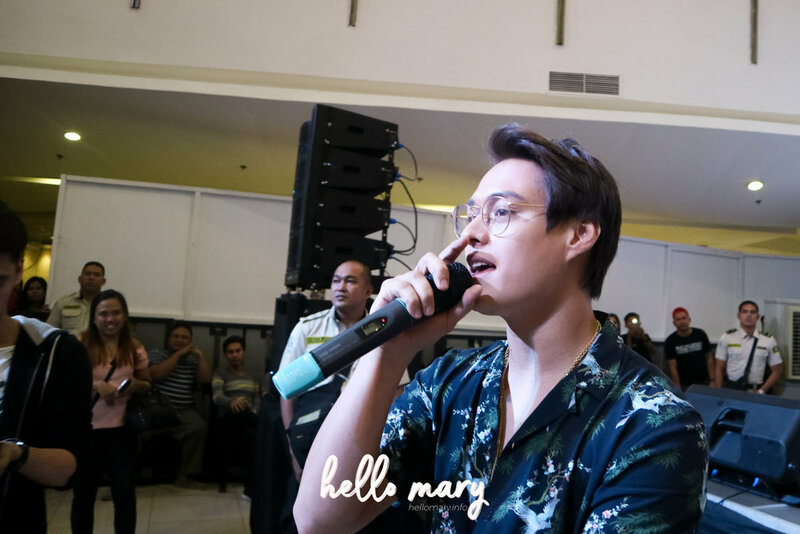 Ano ba guyssss. HAHAHAHA. 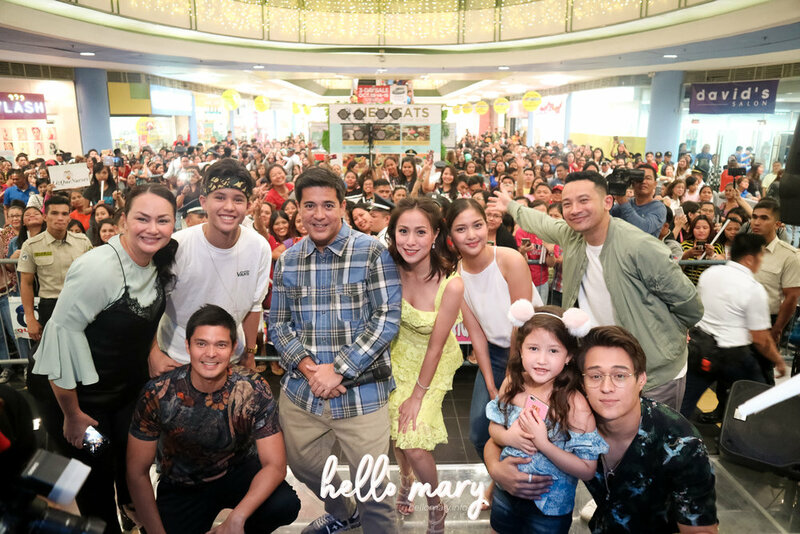 Thank you to each and everyone who came out to see the cast on our mall tours! 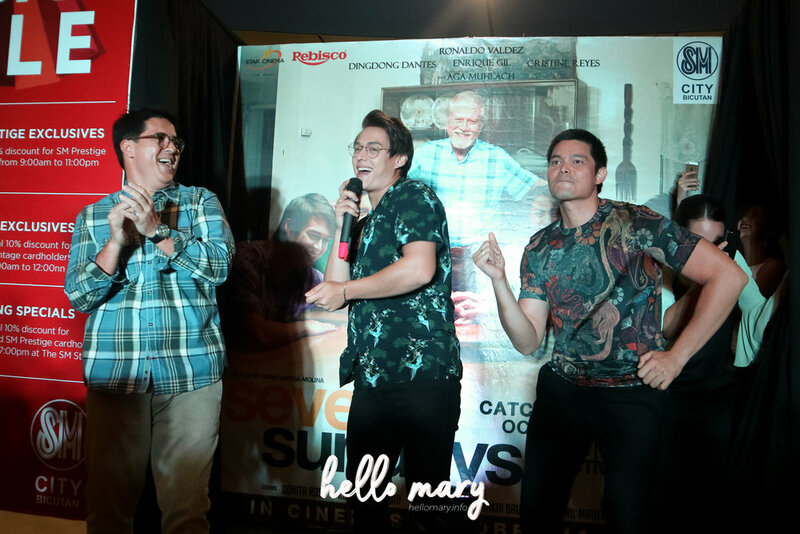 Seven Sundays opens in cinemas Oct. 11!